You may have noticed it if you use WordPress. 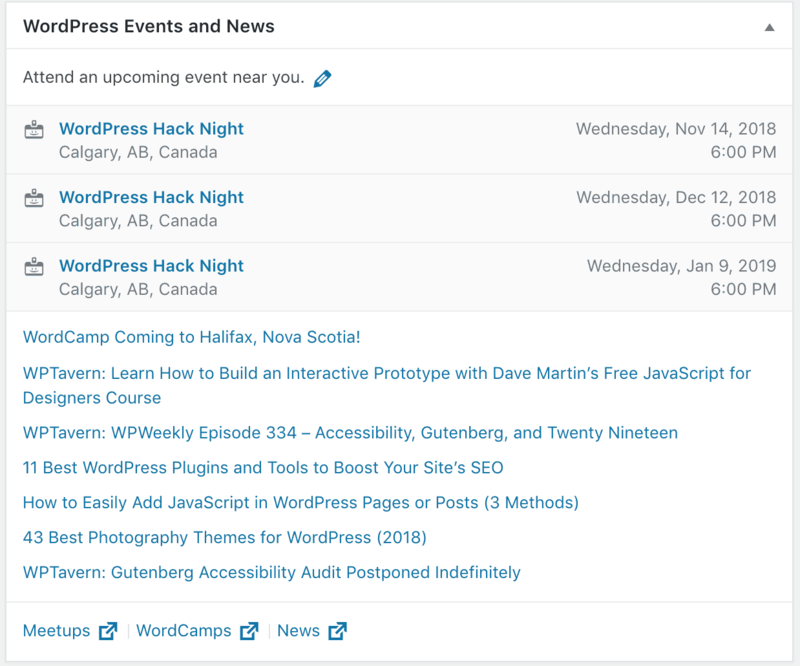 Right on the dashboard is a list of upcoming WordPress Hack Nights in a city near you. But what on earth is a WordPress Hack Night? Should you go to one? Are these events just for professional WP geeks? What’s in it for me? I first noticed the list of upcoming WordPress events quit a while ago. It sounded like the type of event that would be good to attend at some point. In the meantime, I made a major career transition in my life – going from being a full-time employed pastor to self-employed entrepreneur/freelancer within a matter of months. A big part of my self-employment plan is based on creating WordPress websites. Given that fact, it makes sense that I finally made the jump and signed up for a WordPress Hack Night in a city near my home. Last week I attended the hack night. It took place on a Wednesday evening in a coworking space. By the time I found parking and got inside, I was a bit late. But the “formal” portion of the meeting had not begun yet. The scheduled topic for this hack night was Gutenberg (the redesigned editor scheduled to be the default editor in WordPress 5 – which releases on November 19). There were a lot of people in the room (maybe 30+ individuals). The seating was mostly at tables, although those of us who arrived later found the table seats to be mostly occupied. Once the presentation started, the presenter took time to introduce the Gutenberg editor, showing it live on the screen. She went over many of the basics. The presentation was rather informal, and people in the audience were able to ask questions. The presenter seemed very knowledgeable on the topic. The discussion included such basic things as how to build a post with the blocks in Gutenberg, as well as more advanced issues like upgrading a site to Gutenberg and compatibility concerns. The individuals in attendance at this hack night represented men and women, young and old. There were probably many people in the room more knowledgeable than myself about WordPress and website development. But I didn’t really feel out of place. It seemed like a nice group of people who I will hopefully become better acquainted with as I hopefully attend future hack nights. Should You Attend A WordPress Hack Night? If you use WordPress, then I think it would generally be beneficial for you to attend a WordPress Hack Night. Don’t let yourself feel intimidated. Whether your exposure to WordPress is simply updating content or you are a full stack developer, spending time around other people with similar interests and skills is sure to help you become more proficient at what you do. So take the plunge. Sign up for an upcoming WordPress Hack Night in a city near you! You should be able to just click the link to one of the upcoming events from your WordPress Dashboard in order to get more information and to sign up to attend. What is your experience? Have you attended a WordPress Hack Night? How was it? Please share your experiences in the comment section below. 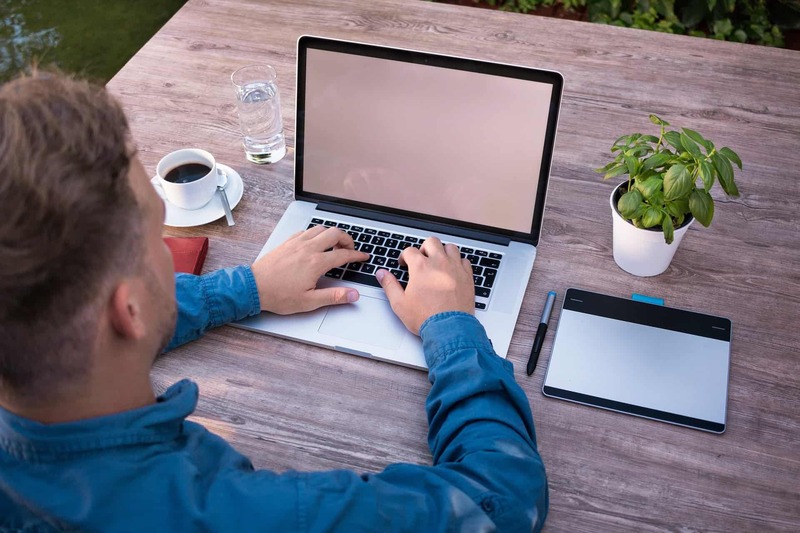 In this post you will learn about a very inexpensive way to work out the basic layout, functionality, and content areas of your website before you actually start building the website. Have you ever wasted a bunch of time or money creating a website when you didn’t even really know what you were trying to create? Experimenting and conceptualizing website design and functionality while actually building your website can be a recipe for disaster. And the bigger or more complex the website you need, the larger the disaster can be! There is actually a cheap (can be virtually free) way to plan out the basic design and functionality of your website before you ever start to actually build the thing. When you start wireframing a website, don’t become too attached to your first sketch. Be willing to make changes and consider alternative ways of accomplishing your goals. But as you make changes, don’t delete or throw away your previous ideas and sketches. You never know when you might come back to an earlier idea! Start out with a “quantity” mindset, and then slowly narrow down toward a “quality” mindset. Are you ready to learn more about wireframing? Check out this blog post by Hope Armstrong: http://blog.teamtreehouse.com/learn-to-wireframe. Download a free ebook with 5 things you can do in the next week to help you make your website more effective! Subscribe for help and advice on making your website more effective, starting with this free ebook. Unsubscribe at any time.